Cheema Services Welding department was started in June 2013 and has quickly become a respected market leader in Rail Welding, operating out of South Wales and Kent. We offer a comprehensive top down management approach with a focus on client interface. The welding Management team have a wide scope of abilities inside and outside the rail industry allowing them to understand the needs of the client. We currently have twenty welders and eight assistant welders strategically placed around the country allowing us to provide welders nationwide. 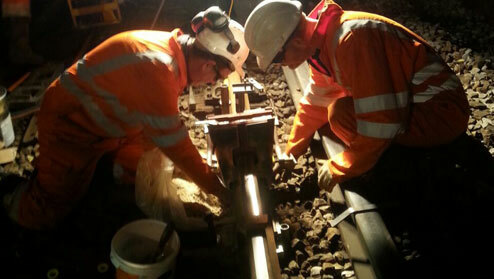 All welding teams are Network Rail and London Underground approved and have a vast amount of knowledge of the rail industry and welding. Our Welding Supervisors have at least Ten Years’ experience in the rail industry and are available during all medium to large sites. All welding completed is accompanied by the relevant paperwork including weld installation and associated documentation.